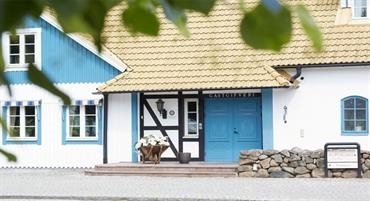 Here in the Bjäre peninsula where the Hallandsås meets the plains of Skåne, you can sleep at the hotel, celebrate birthdays and weddings, eat Skånska delights in the restaurant, hold conferences and meetings and be close to activities such as golf and Båstad's tennis courts. There is something for everyone. A conference at Margretetorp has practically no limits. Serveras vardagar mellan kl 11:30-15:00. Margretetorp is a Scanian hostelry dating back from the 14th century. Here you can enjoy food, calm and beautiful nature. Margretetorp Inn is located by Bjärehalvön on Hallandsåsens sunny side of the edge of the green beech forest, surrounded by a wonderful park. On the hills around the village Nagyrada, beautifully situated overlooking Little Lake Balaton in Hungary, is our own vineyard. Here we run for over 10 years wine production of both red, white and rosé - both still and sparkling wines.